This wide-arched brush lets you apply contour/accent color generously across the lid , while giving you a perfectly blended effect. 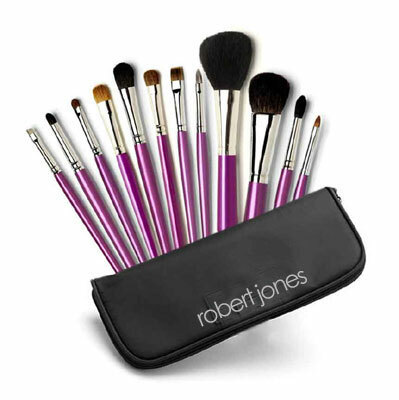 essential brush collection All of the essential brushes you need to create a perfect look! Comes with a zip brush case. Collection includes brushes # - 1,11, 13, 14, 22, 28, 30, 40, 50, 60, 73, and 80.
lash comb #3 After applying mascara, comb your lashes with this fine metal comb to separate eyelashes and remove clumps. Helps make lashes look thicker and longer.